Dr. Burgess is a Jacksonville native who graduated with a Bachelor of Science degree from the University of Florida and his D.M.D. Degree from the University of Florida College of Dentistry in 1996. 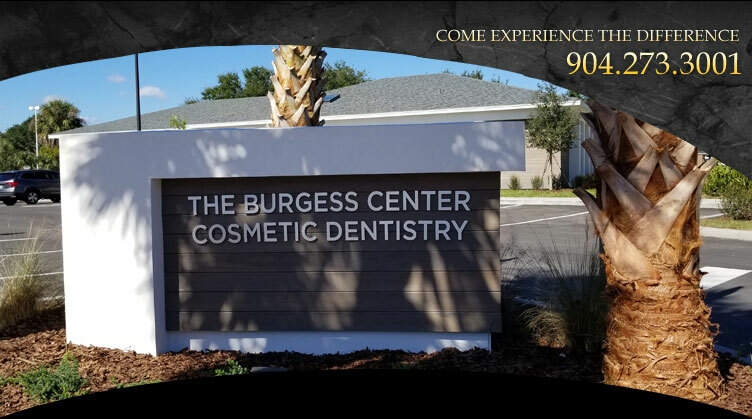 Dr. Burgess has received advanced training in cosmetic dentistry, dental implants and TMJ treatment. He's a founding member of the Florida Academy of Cosmetic Dentistry, achieved fellowships in both the Academy of General Dentistry and the International Congress of Oral Implantologists (ICOI), and alumnus of both the Misch Implant Institute and Dawson Center for Advanced Dental Study. Dr. Burgess is also a sustaining member of the American Academy of Cosmetic Dentistry (AACD), having passed a rigorous examination and educational requirements. His memberships include Academy of General Dentistry, American Dental Association, Academy of Laser Dentistry, Dental Organization for Conscious Sedation, Academy of Computerized Dentistry, the AACD, and the ICOI. Dr. Burgess works and lives in the Ponte Vedra Beach community. He has a son, Eli, born in 2000, and daughter Ella, born 2002. In his spare time, Dr. Burgess enjoys boating, water sports, in-line skating, running, scuba diving, and quality time with his family.